Pam is an enthusiast, a delver into the deepness of what motivates people and what holds them back from being all they can be. She also believes horses have been her best teachers. The blending of her inherent interest in people and this love of horses allows Pam to work with horses and humans, connecting people to their passion and inner wisdom. Working on systemic leadership and enhancing employee effectiveness within the system, Pam teams with leaders to create a culture of performance, accountability and service in today’s competitive marketplace. Pam is an experienced leader, educator and consultant – and avid horsewoman – dedicated to evolving human consciousness through the wisdom of the horse. Pam’s extensive corporate career extends from leading within global giants the likes of Unilever, American Express, Apple and Microsoft to spearheading entrepreneurial starts ups in foreign markets. Her extensive experience in bringing teams together to achieve their goals, collaborating and negotiating between differing business interests and opening their eyes to new possibilities have resulted in the ability to consult with a true understanding of the trenches as well as the big picture. Pam’s qualifications include a Bachelor of Commerce (Marketing) from the University of NSW, Sydney and she is a Graduate of the Senior General Management Program, INSEAD, Fontainebleau, France. 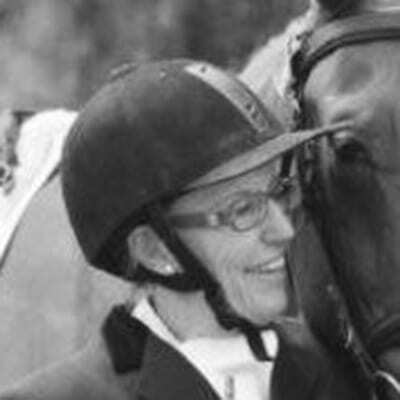 Her Accreditations include Skyhorse Equine Guided Educator; Certified Master Practitioner of NLP; Advanced NLP Training Design and Facilitation; Certified NLP Coach; Orijen mentoring accreditation; iWAM (Workplace Behavioural Profile); LAB (Language and Behaviour Profile); TLCP and TLCS – The Leadership Circle; DiSC Model; Level 1 Educational Kinesiology; Cert. IV in Assessment and Workplace Training, Equine Psychotherapy Institute of Australia (EPI) Foundation Level.